When considering an RV purchase, it’s important to consider all your RV options and choose the one that best suits your travel needs. Here, we’ll take a look at some of the benefits of owning a Class A Motorhome. 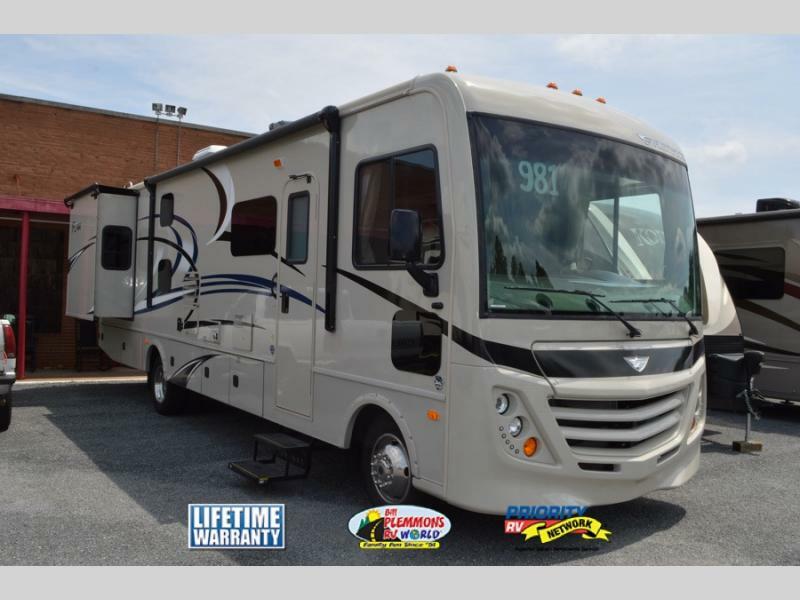 Whether you are looking for a family friendly motorhome for cross country adventures, or a couple searching for a drivable RV that makes relaxing on the road easy, a Class A is an excellent choice. Class A motorhomes have an open interior design which makes long trips less crowded and much more fun. With a large number of Class A Motorhome brands to choose from in a wide range of floorplans, you are sure to find just the right spacious layout to suit your needs. 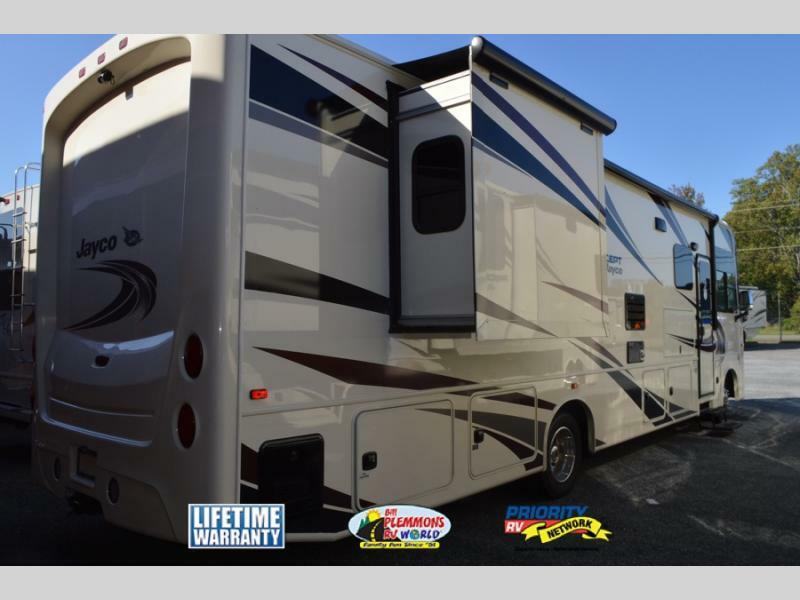 Class A Motorhomes provide a ton of storage space both inside and out so you can bring all your gear, clothing, cooking utensils, etc. that you need during your travels. 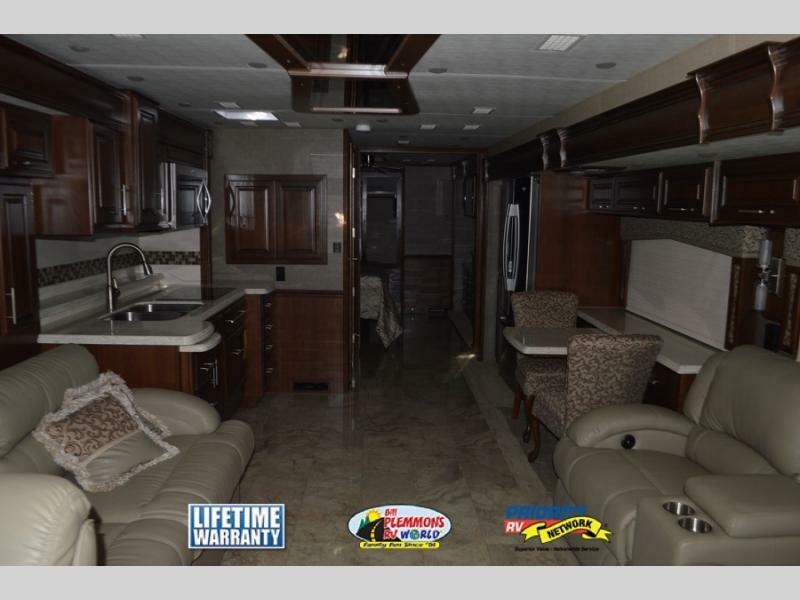 Well equipped motorhomes such as the Fleetwood Flair feature upgraded slam latch baggage doors with bus class aluminum construction. Be king of the road thanks to the extra power your Class A RV provides. Diesel motorhomes, especially, offer excellent towing capability and added push to get you through steep mountain passes with ease. Check out the Entegra Aspire RV with a Cummins ISL turbocharged 450hp engine that will satisfy even the toughest power demands. 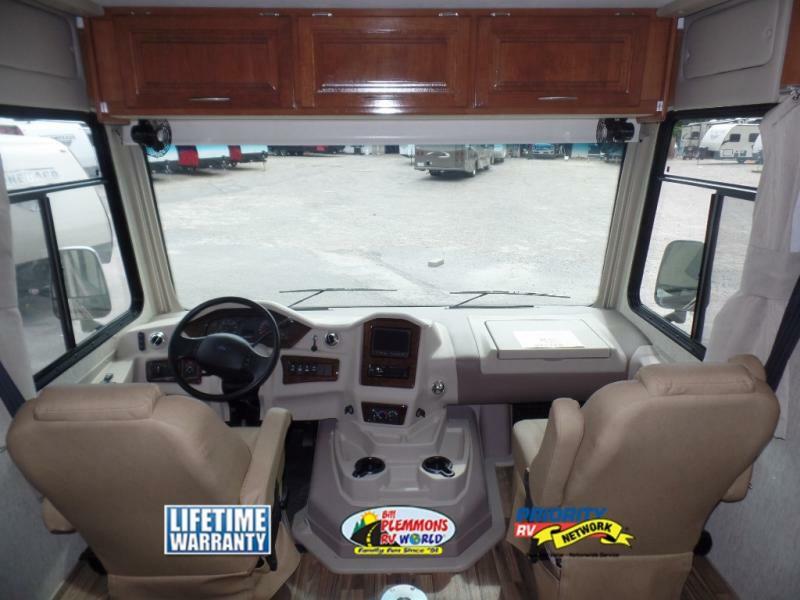 Class A Motorhomes are know for offering a smoother ride down the road. Brands such as the Jayco Precept Motorhome feature The unique JRide Plus driving system. Additions such as Bilstein shock absorbers, a computer balanced driveshaft, jounce bumpers, and a front, rear, and additional heavy duty sway bar will all contribute to eliminate sway and bounce while you are in motion. Due to the increase height of the Class A motorhome’s chassis, you have a better view of the road. The large, panoramic windshield provides an unobstructed view of what’s ahead. 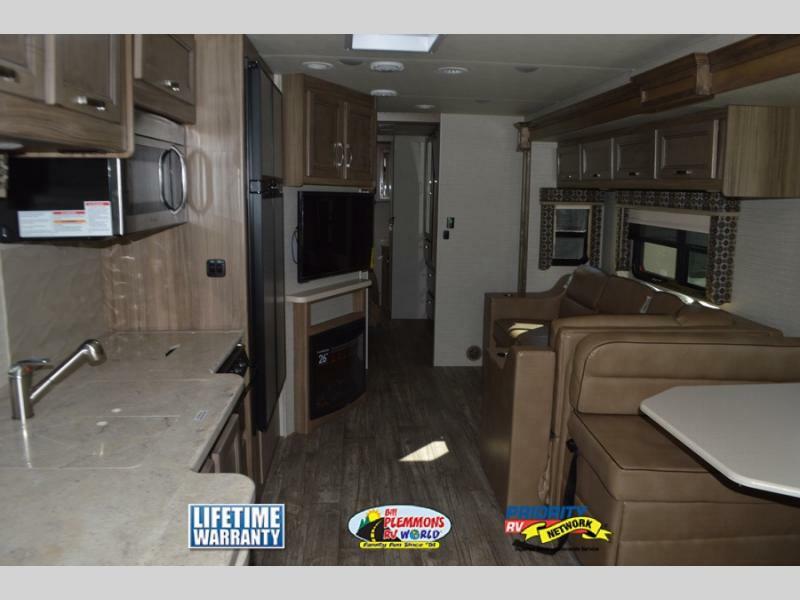 Many brands such as the Coachmen Mirada RV even include a back up monitor with side cameras so you have a full picture of your surroundings. 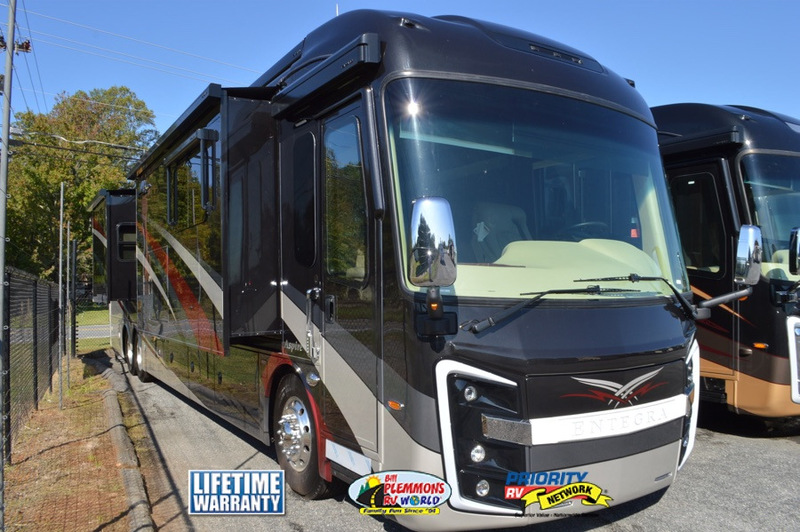 Contact Us at Bill Plemmons RV for a tour of our large selection of Class A Motorhomes for sale. Hop in the driver’s seat and see what freedom feels like!